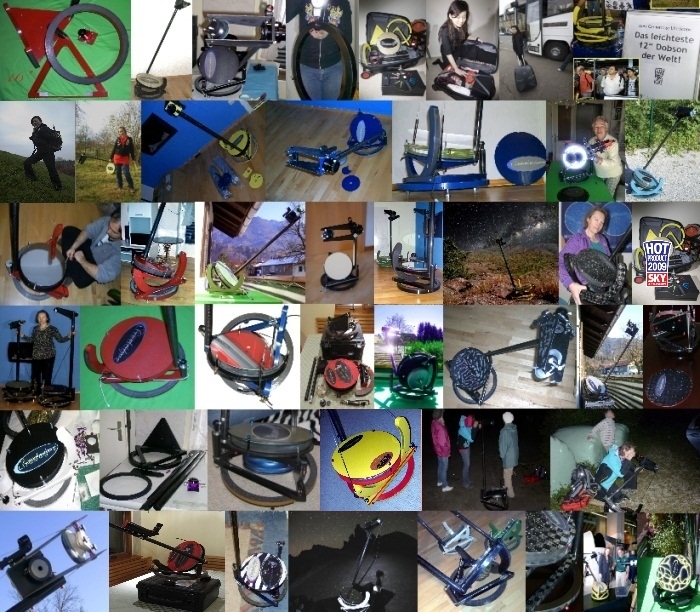 Supported from Cambridge University members at the Department of Zoology, Vivian's initial idea was a compact ATM inspired reflector telescope for observing and digiscoping remote vertebrates in nocturnal or twilight conditions when conventional camera optics come to their limits of resolution and luminosity. 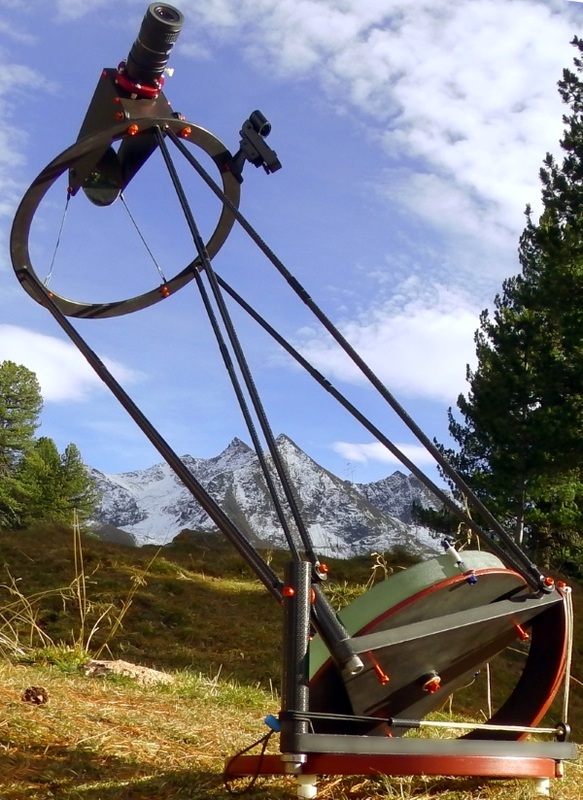 The prototypes worked great for astronomy, so we dared a little ad in Sky & Telescope to introduce it as a minimalist portable astronomical telescope in the IYA 2009. 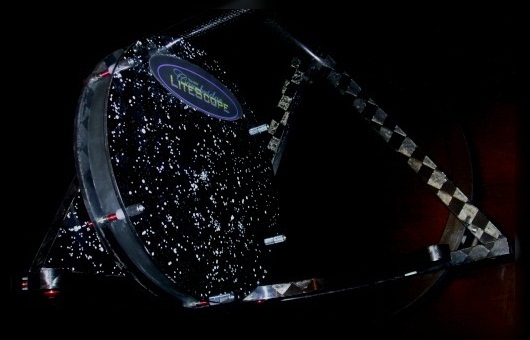 The 'LiteScope MOUNTAIN' (12inch) travel telescope became a 'HOT PRODUCT 2009', selected by the editors of Sky & Telescope magazine USA. Observers appreciate their NCLT instruments to observe with 12inch (or bigger) optics when weight and size matters. 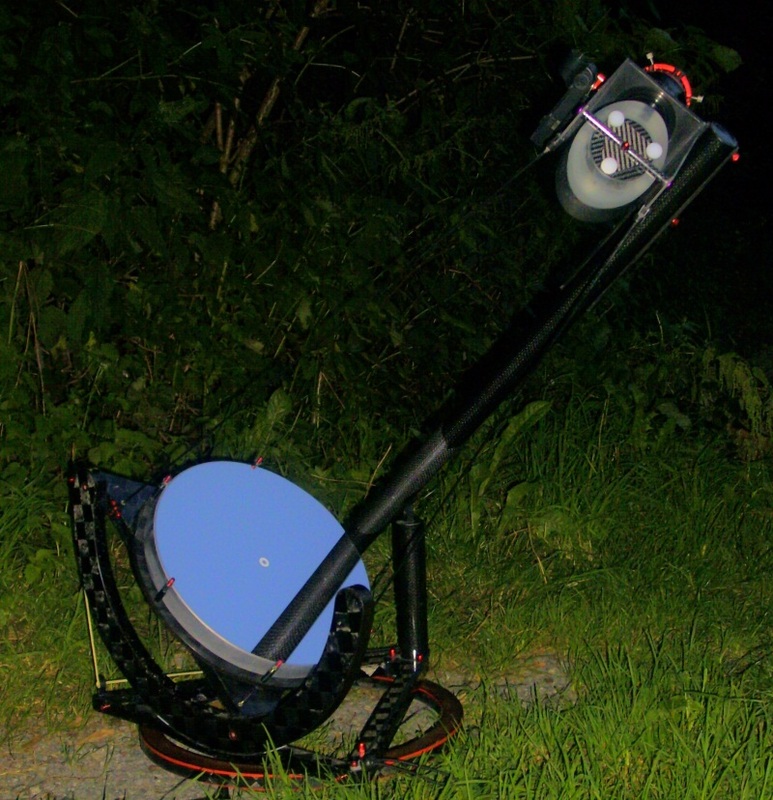 Some don't even need a car to reach remote observing sites with their NCLT. inclusion in this year’s selection of Hot Products! Thanks so much for your email and the great work you are doing! Congratulation on the Hot Products. Thank you for producing a great telescope. I could tell from your early designs that you would eventually make a real winner. I appreciate that someone finally came up with a truly portable telescope. Thank you for your kind words in your "about" section. I recently built a very simple style flying telescope by taking as many part from a classic Dobsonian and putting it in a carry on home built case. From First Sight to First Light - A new Love Affair for Astronomers? 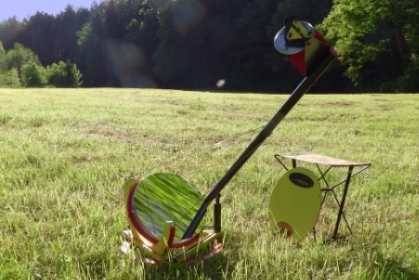 Firstly may I say thank you for sharing your wonderful telescope design with us. It was an absorbing and uplifting experience for us both! 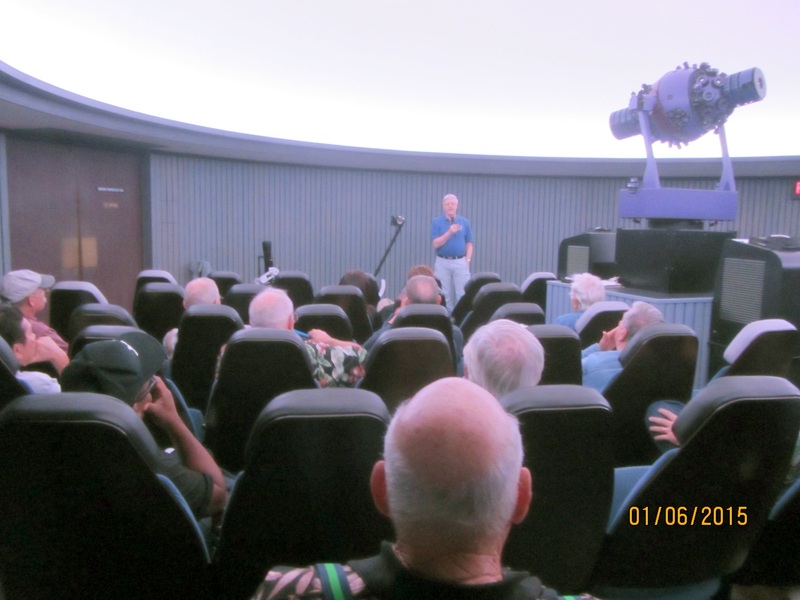 As you know Brian and I have strong connections with astronomy through Cambridge Astronomical Association and through our own life interest. We are both passionate and deeply committed to our subject. Also we both regularly make and use telescopes of all types – from those found in professional observatories to some of the finest amateur instruments available. astronomy at a semi professional level. 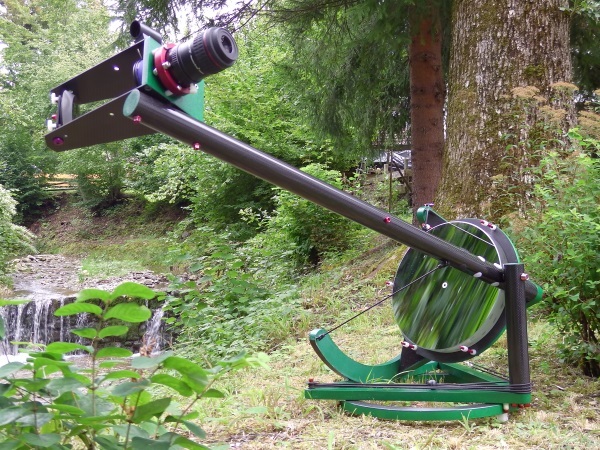 With this experience in mind I can say that I have never seen such an elegant and technically sophisticated solution to Newtonian telescope manufacture as you have achieved with this latest creation. I have personally researched the leading edge of amateur designs over many years. I know this is where technical excellence and innovation is often to be found. Based on this research I believe you have a superior instrument which is at vanguard of present possibilities given the technology available. You are to be greatly congratulated. 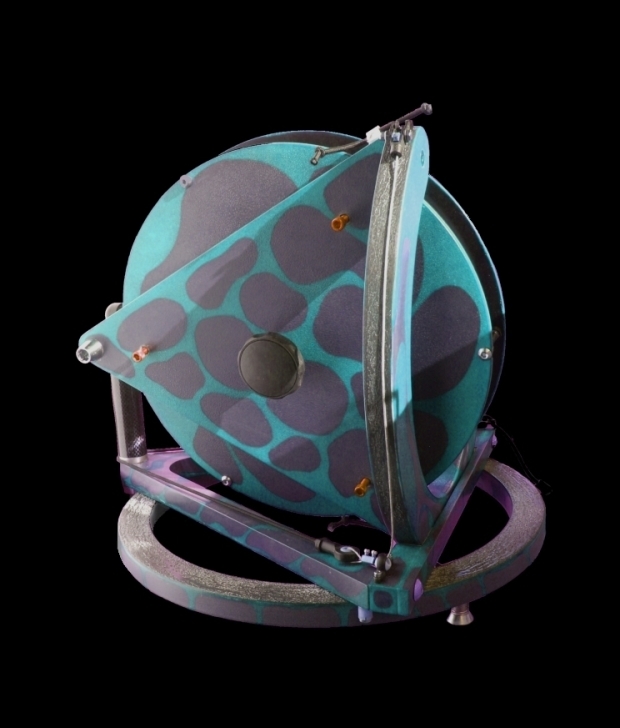 It is a superbly practical piece of art and also a fantastic scientific instrument. So as we say in England – I take my hat of to you! Simple to assemble and easy to use. This scope welcomes the newcomer!!! is easy to love. I predict this product will have passionate Champions! I hope you are able to protect your design and find in this special place which is Cambridge those who can help you bring this design to the market. know our wonderful planet and its greater place in the space environment. commercially. Your determination so far, working with limited resources, shows you have the passion and will to succeed. If there is any way in which I can further assist your endeavours please let me know and I will do all I can to make help available. To further indicate the level of belief I have in your future success please let me be the first to order one of you production telescopes when they become available. "... I am amazed at how stable the scope is for such a lightweight structure. 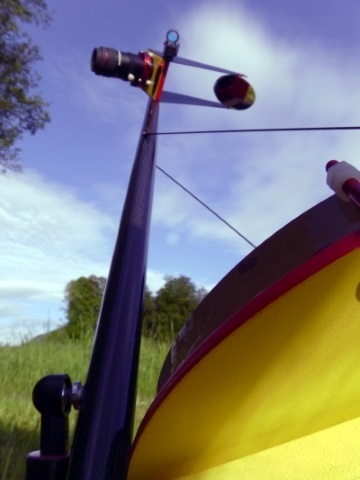 Vibrations damp very quickly after movement, and collimation holds effectively. counterbalance. I may need to add some lubrication to the azimuth surface. minimal despite the fast focal ratio. I have not need to use a Paracorr yet. Setup and takedown are becoming very easy now that I have had practice. job designing and building it. I just got back from the Winter Star Party 2010 in Florida and using the Mountain 12". My simple summary is fantastic, excellent, superb. I had the best time using this scope and found its performance to be outstanding. I assumed with a travel scope this light and simple, there would be compromises and performance would be tolerable to trade off on its transportability. It turned out to be much, much better than just tolerable. It performed really well and was so much fun. I will write up a full impression later and send it to you and am planning to do a review for Cloudy Nights if that is OK with you. I had no problem with the pole assembly and everything else worked perfectly. Easy to put together and take apart after I had done it once. I used the Ethos 8, 13, 17 and they were perfect. Very easy to travel with. If the 16 works as good as the 12, then I will be so pleased. The scope has really proved itself and I am very happy with it! Again, thanks so much for all your help and understanding. You have made this 70 year old lady very happy. Copyright: 2019 Vvian Bock. All rights reserved.